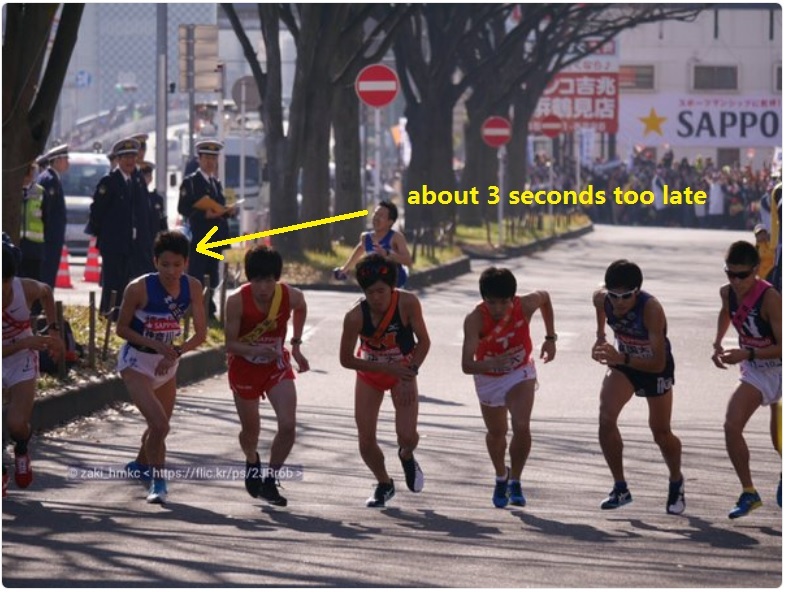 The Hakone Ekiden 箱根駅伝 is a 2-day relay-race between teams of elite male runners from Japanese universities. The race takes places annually on January 2nd and 3rd, and dates back to 1920. The upcoming (2017) race will be the 93rd edition of this proud tradition (a few years were missed due to WW2 and its aftermath). 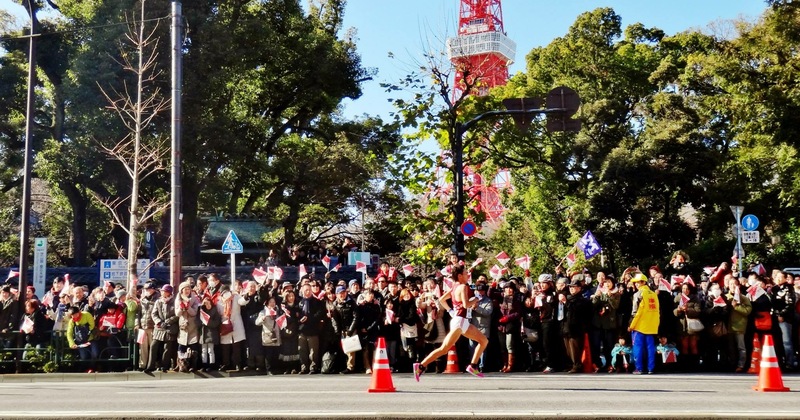 The race is nationally televised in Japan and viewed by around 28% of the country. 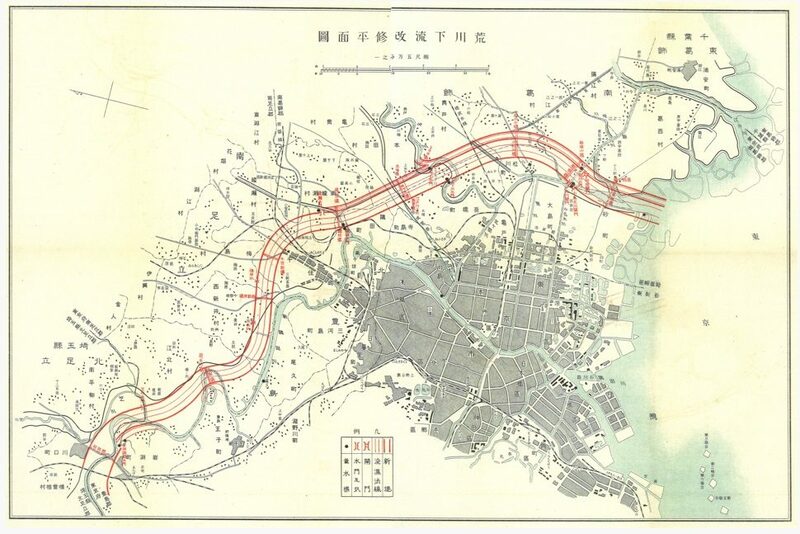 The race is divided into 10 stages, five ‘outward’ or ‘forward’ 往路 stages on Day 1, and five ‘return’ 復路 stages on Day 2. Each leg of the race is run by a different runner, and exchanges are made at designated relay points. Day 1 starts in Otemachi, in front of the Yomiuri Shimbun (newspaper) building, and finishes 108.0 km (67.1 miles) away at Lake Ashi 芦ノ湖. As well as being a popular viewing spot for Mt. 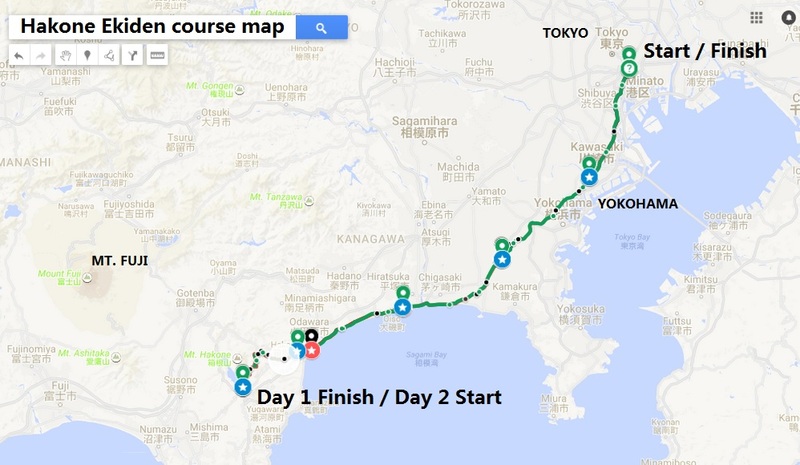 Fuji, the Day 1 finish line is home to the Hakone Ekiden Museum 箱根駅伝ミュージアム (map). Day 2 starts where Day 1 finished, and retraces the course from the previous day, with minor deviations. Each of stage of the race is approximately 22 kilometers (13.5 miles), with runners finishing in roughly 1-hour (a pace of 4:45 minutes per mile). 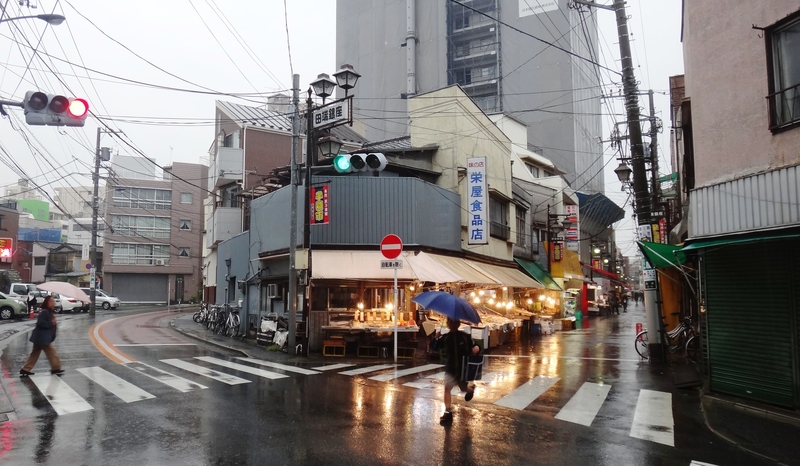 The exception is the brutal 5th stage, which climbs almost 900 meters into the hills of Ashinoyu 芦之湯 (source); the fastest ever pace for this leg is 5:25 minutes per mile. The following is a map of the course, which includes the location of the relay-points, and includes the estimated times at which the lead runner will pass by various points along the course. 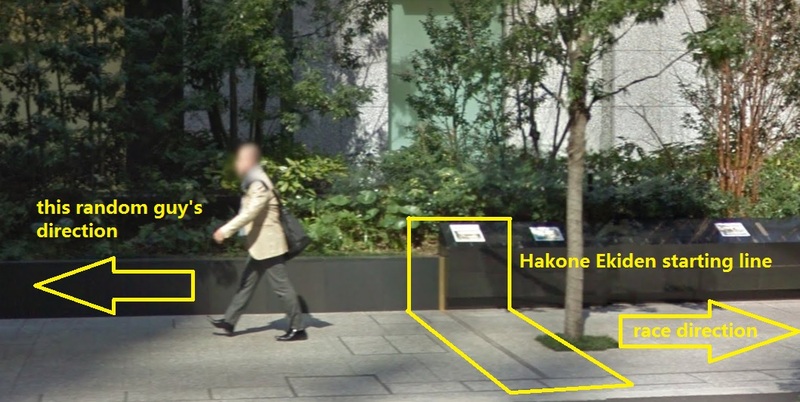 This information was compiled from race date from the course map and results from the 88th edition of the ekiden (2012). Day 2 of the race has a staggered start ‘時差出発’, with the previous-day’s winner starting at 8:00 a.m. and subsequent teams starting with time delays according to the prior-day’s results. Teams that finished more than 10 minutes behind the first-place team on Day 1 all depart at the same time on Day 2 at 8:10 a.m. (a ‘simultaneous departure’ ‘同時出発’). The remaining time differential over 10 minutes is tracked and added to the team’s final results. As the race progresses, the gap between the fastest and slower teams continues to grow; teams that are more than 20 minutes behind the first place team are forced to have their next runner depart the relay station while the current runner is still on the course. The departing runner is forced to wear a specially-colored sash to indicate that this runner did not receive the original sash from his teammate.The time differential between this “advance start” and the finish of the previous runner is added to the team’s overall time at the conclusion of the race. One thing to cheer for are the individual stage-winners; these runners often come from the top teams (naturally) but can occasionally come from lower-tier teams. For example, in 2015 the winner of the 10th stage was 寺田博英 Hirohide Terada from 城西大学 Josai University, which placed 7th overall. One of the classic things to watch for is runners hitting the wall and collapsing (or nearly collapsing). This combines a natural human interest in watching people suffer with the Japanese love of effort and perseverance (the ganbatte 頑張って spirit and all that). The easiest way to watch the Hakone Ekiden is on television. Additionally, you can track the runners online in real-time. But if you’d prefer to watch the race in person, I have a few suggestions based on my experience watching the 2015 race. First, let me share with you a timetable that I prepared and used when watching the race. It lists the fastest legs of each race ever won, thus estimating the earliest time that the lead runner would be expected to appear at any of the transition points. I found this chart was an invaluable reference for watching the race. We stood along the course near Tokyo Station, not long after the runners had started. 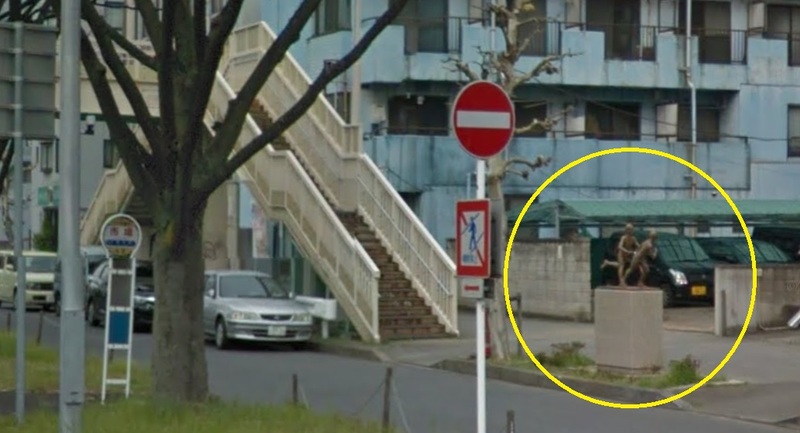 We had planned to follow-along by train to the 1st transition point, but were surprised that we wouldn’t be able to reach the Tsurumi relay station before the runners. 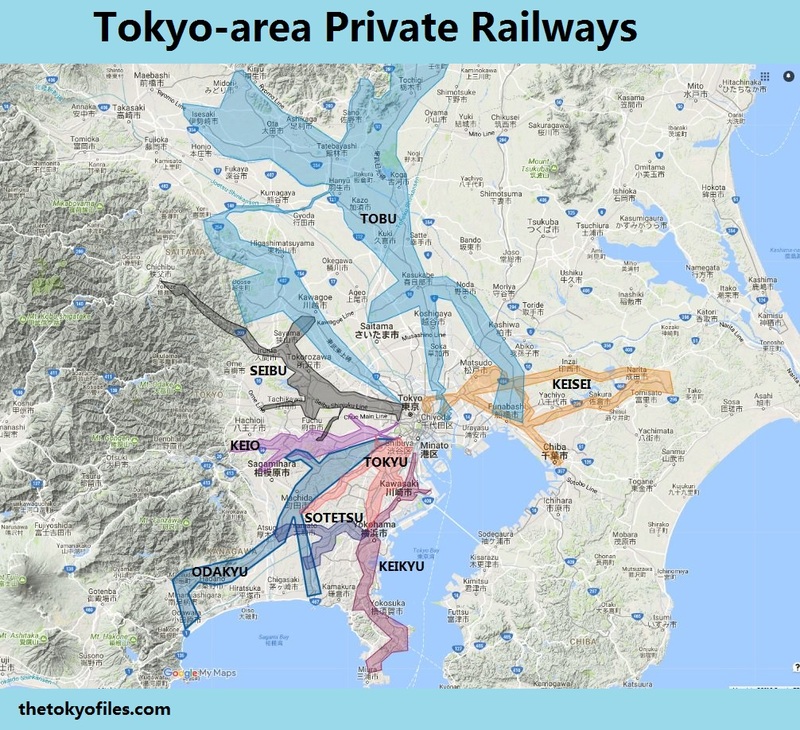 According to Google Maps, it takes 46 minutes to take a train (including walking time) from the start of the race to the Tsurumi relay station; in comparison, the fastest runners travel this distance in 61 minutes, a cushion of just 15 minutes if you leave IMMEDIATELY after the start of the race. My friend and I decided to bypass the 1st relay point and headed to the second relay station. 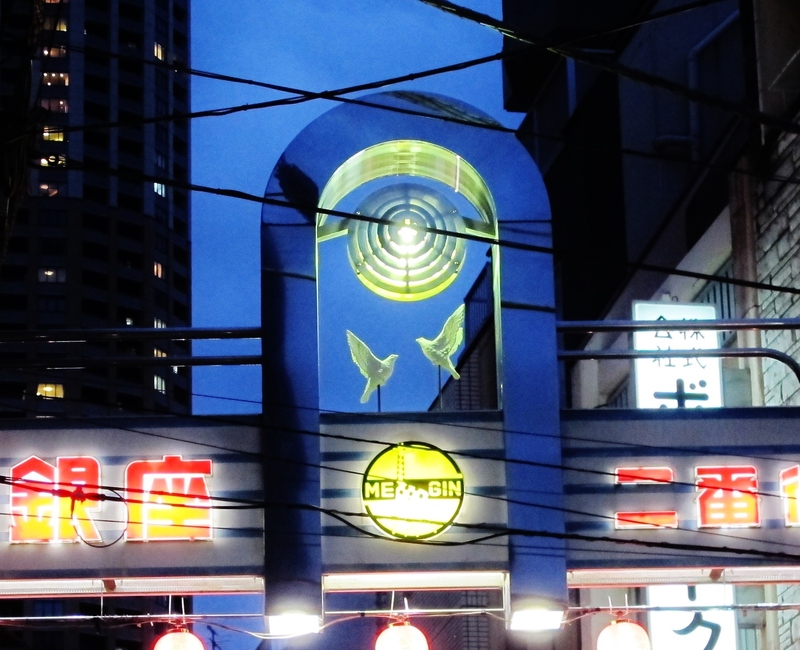 The second transition point is along a wide road, 2.2 kilometers from Totsuka Station. Far from the relay point the highway was lined with supporters of the race, and the crowds grew thicker as we approached the relay point. We stood along the long, gradual hill that leads up to the transition point; we enjoyed watching the lead runners struggle towards their teammates, but we never actually saw them hand-off their sashes. We moved closer to the transition point but were still unable to see the hand-offs because the thick crowds. 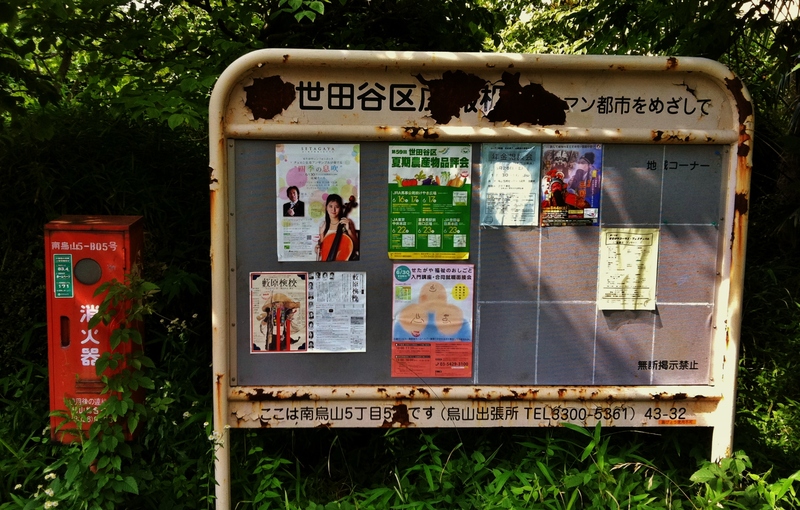 If you plan on watching the ekiden at a relay point, make sure you get there early. After trying to watch the 2nd relay point, we decided to make our way to the somewhere along the hilly 5th stage. Again, we were surprised by how difficult it was to move faster than the runners. We took a decently fast train to Odawara Station, but in Odawara we were met with a distressingly long line to board the Hakone-tozan Line towards Hakone-Yumoto station. The long lines meant that we were way behind schedule, and I could tell that, according to my timetable, we were likely not to see the runners again the rest of the day. 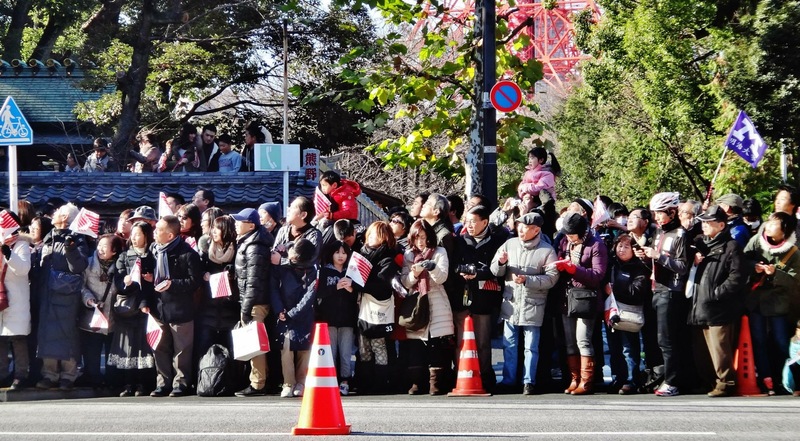 After finally boarding the train, we left the station and were pleased to still see spectators lining the roads. 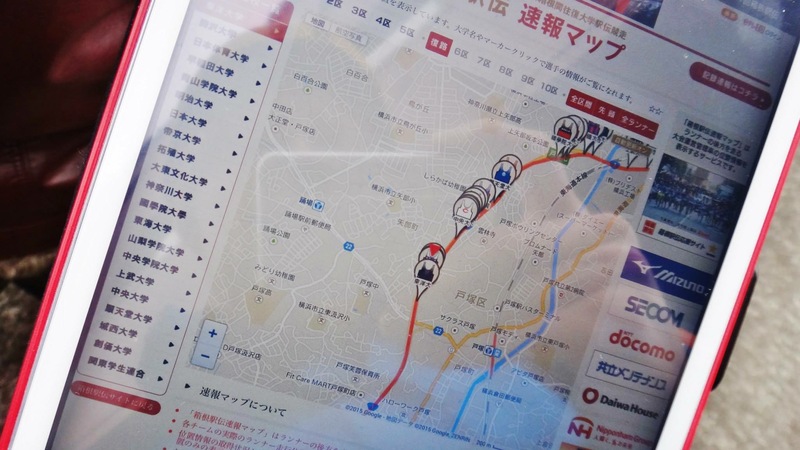 The train followed the ekiden route closely, and a wonderful moment of the day was when we spotted the runners below us; the train erupted into cheers and, for once, I was glad that our we had suffered many delays that day. 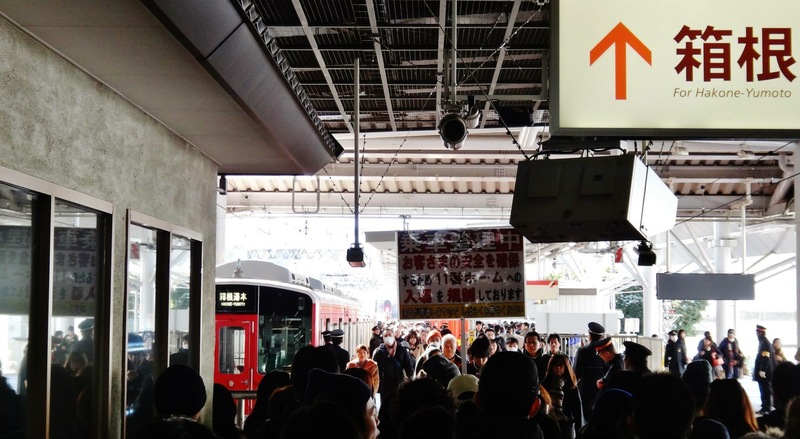 By the time we reached Hakone-Yumoto station, we thought the day was over, but yet again we were treated by the unexpected appearance of the runners – this time we cheered for them from our convenient perch on the train platform. Hakone-Yumoto station is the last station on flat ground; from here the Tozan Line follows a steep grade and performing switchbacks up the mountain. Under ideal circumstances we would have had difficulty catching the runners – and now, under heavy delay, we had no chance. After almost an hour we settled into a soba shop at the top of the hill, near Gora Station. 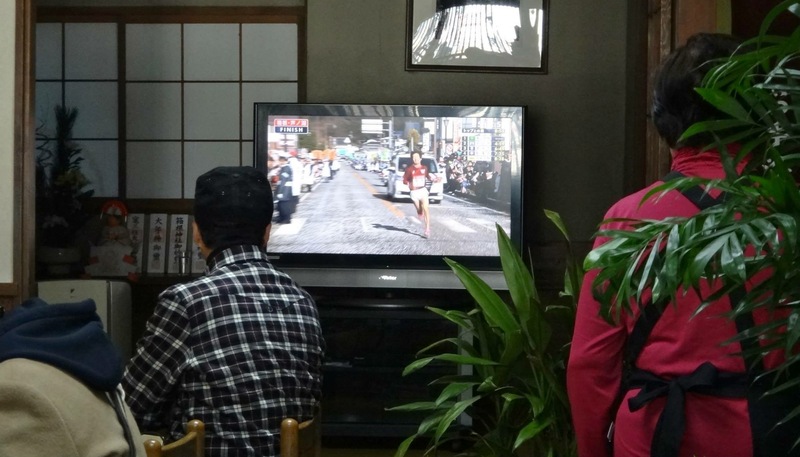 We were pleased to watch on TV as some of the top competitors completed Day 1 of the ekiden. Day 2 was much less stressful because we started in the Hakone hills and only attempted to watch the action in one other location.